CIPS BC participated in the 19th Annual Victoria Security Conference this year and hosted a booth and door prize draw at this event. There were 940 attendee’s, with many coming to visit the CIPS BC booth… and to check out the quad-copter door prize! It was great to see many of these attendees taking brochures from the CIPS BC booth and requesting information about the upcoming CIPS BC March 1st lunch event (see: http://bc.cips.ca). 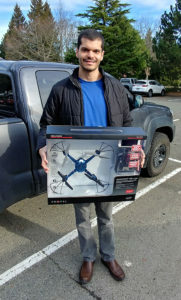 The quad-copter door prize was won by University of Victoria Master’s student Fernando R. Berra Kossik. Fernando is doing his Master’s in Telecommunications and Information Security, and is eager to share information about CIPS to his fellow students. 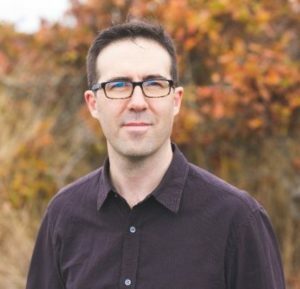 Fernando also indicated that he will be attending the upcoming CIPS BC March 1st Blockchain lunch event and we look forward to seeing him there!